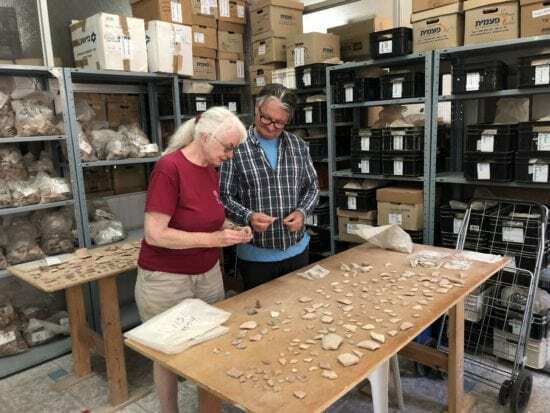 Mount Zion Archaeological Project | A Short Report on our 2018 Season! The 2018 Mt Zion season in Jerusalem focused on four major goals this past summer: 1) setting up our new Mt. Zion Archaeological Excavation Headquarters; 2) doing post-excavation work on the finds from past seasons at both the Jerusalem site and the “John the Baptist” Suba cave; 3) working on official academic final reports on excavation work since 2000; and 4) carrying out a session of strategic digging at the Mt Zion site. All four goals were amazingly successful. 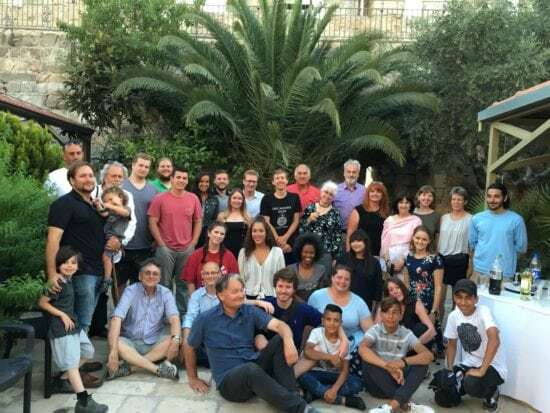 We had a specially selected staff of 18, led by Dr. Shimon Gibson of History, Dr. James D. Tabor of Religious Studies, and Dr. Rafael Y. Lewis, who is our resident co-director in Jerusalem. Dr. Robert McEachnie of History directed our Education Abroad program with 12 UNC Charlotte students this year, which including three majors in Religious Studies. The excavation was sponsored through the generosity of a number of individuals, to whom we are grateful, and the work at the headquarters was sponsored by the Loy H. Witherspoon bequest. The new archaeological headquarters is located just one block away from the Old City of Jerusalem, in a lovely building from the late 19th century owned by the St. Vincent de Paul Sisters of Charity Center. It is a perfect space for our needs with a gated courtyard, office areas, storage rooms, laboratory space, kitchen, and bathroom. The staff worked tirelessly to organize and begin processing of artefacts from previous years, with the goal of publishing two official excavation report volumes in 2019-2020. These volumes, dealing with the Suba Cave, where we excavated since 2000, and the Mt Zion excavations carried out by UNC Charlotte since 2008, will be published by the prestigious Israel Exploration Society. Both students and staff carried out excavations at the Mt Zion site itself. This year we concentrated on three main areas at our Mt Zion site with some specific strategic goals in mind—uncovering an ancient street that dates back at least to the Byzantine period, and perhaps earlier, excavation of the lower levels of a 1st century CE mansion with well preserved rooms with ceilings, and the excavation of the fills within a dry moat that ran in front of the Fatimid fortification wall. Significant discoveries were made, including dozens of coins, ceramic vessels, and other artifacts that enable us to further clarify the dating of the various strata. The ancient street was particularly important as it links up with previous excavations inside the Old City. Later this semester there will be a major press release on this significant discovery. Further excavations are planned for 2019 as we move toward our longer-term goals of turning the site into a permanent archaeological park that will highlight the history of Jerusalem from the Iron Age (8th century BCE) through to the late Ottoman period (19th century) —over 3000 years of history. 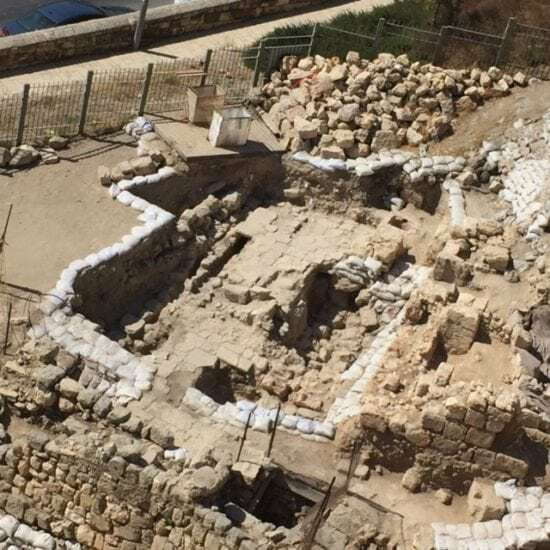 The centerpiece of our excavation are the well-preserved ruins of a 1st century CE priestly mansion that was destroyed in the Roman destruction of Jerusalem in 70 CE and an adjacent structure dating back to the Hasmonean period (late 1st century BCE). We will be posting our plans for 2019 here soon so check back if you are interested in either participating, contributing, or both.